Hey look, a Big Idea twofer this week! It’s because I love all y’all so much. But also, because I want to introduce you to Margaret Ronald, debut novelist. I met her last year while I was teaching at the Viable Paradise writing workshop, and she was on staff. As it happens, she’s also a graduate of that same writing workshop, and a delightful person to boot. 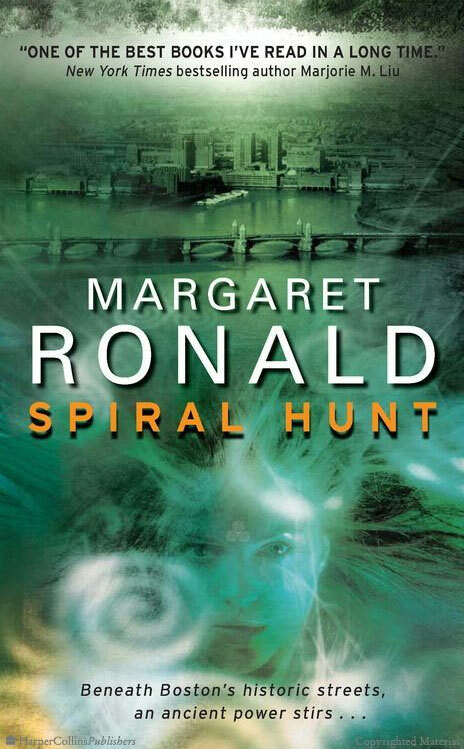 Her first novel, Spiral Hunt, has just hit the shelves: it’s a heady urban fantasy with a Celtic jolt, and once you read it, you will never look at Boston quite the same way again. All of us at Viable Paradise are just as proud as can be: One of our own, doing well. Speaking of things Celtic, here’s Ronald herself to explain how the changeable nature of myth and legend found its way into her own work — and how she added her own chapter to the tale of a famous mythic figure. I first encountered the Irish hero Finn Mac Cool in a children’s book that was a retelling of the William Carleton story “A Legend of Knockmany.” The story’s about the giant Fin M’Coul who lives at the top of Knockmany Hill and is working on a causeway between Ireland and Scotland. He and his wife Oonagh have to outwit Fin’s enemy, the rival giant Cucullin, and using a number of tricks (including one involving frying pans in loaves of bread that made my teeth hurt just thinking about it), they defeat him and live happily ever after. 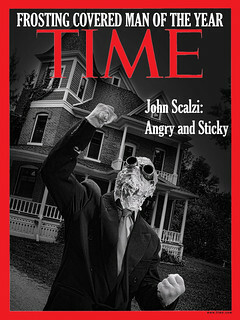 It was a fun little tale, and it was one of my favorite books as a kid. However, anyone who knows the Fenian cycle or Irish mythology in general is probably boggling at my description above, because it doesn’t match up at all with the extant stories about Finn Mac Cool. He’s not a giant — well, depending on the story, he’s not — and he doesn’t live on Knockmany Hill. While he’s got a number of lovers, Oonagh isn’t among them. And for crying out loud, what is the Hound of Ulster, Cu Chulainn, doing there? They’re not even in the same cycle! Well, we’ll get to that. Years later, I was working on a short story about the Battle of Britain that eventually turned into “The Welsh Squadron.” Because of the direction the story had taken, I started researching Arthuriana, which led me to the Mabinogion, which led me further into Celtic mythology. That’s where I met Finn Mac Cool again. Only he wasn’t the giant I remembered. And who were these other people with him? What was up with this Grainne chick? How come his niece and nephew never got changed back into humans after they’d been born as puppies? And where was Cucullin — wait, there he was, only what the hell? This is what’s so fun about research. It turns so many assumptions — even old stories — on their heads. In a stellar example of Doing It Wrong, I started searching for the one real myth behind all the others, the ur-text from which everything else flowed. But stories don’t work that way, and especially not with the mishmash of tradition and manuscript and archaeology that is Celtic mythology. The trouble with, or beauty of, Celtic mythology is that it’s been told and re-told so many times over the years that even in the instances where there is just one surviving text, it’s clearly only part of a larger narrative. Even those surviving manuscripts, the Mabinogion and the Cattle Raid of Cooley and the Book of the Invasions of Ireland were all written down by monastic redactors, who infused the stories with their own sensibilities. And that’s not even getting into the oral tradition. There is no single thread of narrative. It’s a tapestry with missing bits, threads pulled and lost forever, pieces clumsily stitched on from other works that somehow still fit, and the whole has been used for a dozen different purposes over the years. I don’t know nearly enough about Celtic mythology to make a grand sweeping statement about what it all means. But I think that an important part of it comes down to telling and retelling stories. Each time the story’s retold, it changes. (If I had the academic chops, I’d try to link this to the story of how the Cattle Raid of Cooley was re-learned, how the ghost of Fergus related it in three nights, making himself not just part of the story but part of the line of narrators. But I’m not an academic, so I’ll just point you to the translations of the Tain Bo Cuilange and encourage you to go take a look.) And modern fiction has continued that pattern, drawing on those stories in At Swim-Two-Birds and Macpherson’s poems of Ossian and The Drawing of the Dark and many others. So while the Finn Mac Cool who appears in the pages of Spiral Hunt is a very different character from either the giant of Knockmany Hill or the blazing young man who burnt his thumb on the Salmon of Wisdom, I’d like to think that he’s not so estranged from them. In the same sense that Cu Chulainn and Finn Mac Cool can meet in the pages of a children’s book and still have some echoes of their old selves, the re-weaving of story is still part of the tradition. One element does remain with me from that children’s book: a symbol drawn in the margins. 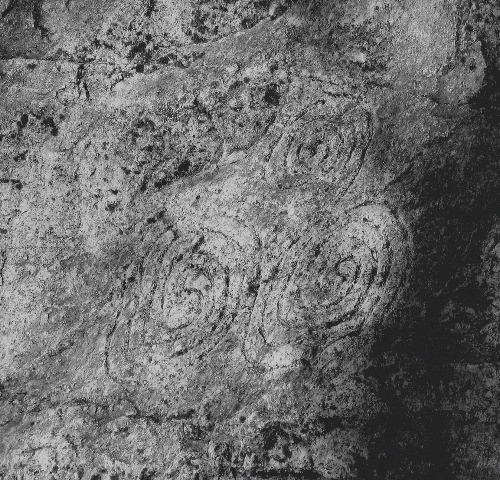 It’s a triple spiral, stylized and changed and very different from the design carved in stone in the New Grange. When an Irish sculptor visited my hometown, we showed him the book, and while he was nonplussed by the story, he told us the history of that symbol and later used it in his work. The symbol stayed in the back of my mind, and when I began work on Spiral Hunt, the triple spiral became part of the story as well, eventually coming to stand at the center of it. So in a way, that first introduction to Finn Mac Cool left its mark on me, and, I hope, on the book. Detail of Gordon Woods’ sculpture “Three Patriots,” Jay County, Indiana. Read an excerpt of Sprial Hunt here. Visit Margaret Ronald’s blog here. Quick! What Should I Eat For Lunch? Ooo, this sounds really good. Thanks for doing the extra Big Idea. Yes, this does sound good. I love the Big Idea series — it gives me things to look for in the bookstore. John, I’m not sure I’ve ever commented here before, though I’m a longtime occasional reader. Thanks for inviting this guest post! Greetings once more from Tipperary in Ireland! By complete coincidence, I actually read the story of Fionn MacCumhaill and the Salmon of Knowledge to my little twin daughters just last night! Serendipity in action that I came across this! The Site of Newgrange is but a mere two hours from where I type, and I have vistied there many times! I shall be purchasing this book, to see the latest incarnation! I’m so psyched! I saw her ARC at VPXII and I was hooked then! Can’t wait to read it! So that’s where Douglas Adams’ “Salmon of Doubt” came from! Thanks! I’ve just read The Welsh Squadron and Ragnarok Has Been Postponed. They’re /very/ good. 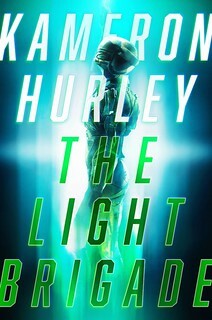 I will keep an eye out for the book, but it probably hasn’t been published in New Zealand yet. Yes, I kept reading and reading on the Harper Collins site and decided if I liked it that much on a screen, I should just go and buy it. So I did. I’m off to buy it myself after the quick read at Harper. This story is intriguing and since I’m not much up on Irish myth, I won’t have any preconceptions on how it should work out. Bought it, & finished it in 2 days. Great read!